I was in the garage this weekend working on a few different tasks when I realized something...I am back to where I started. 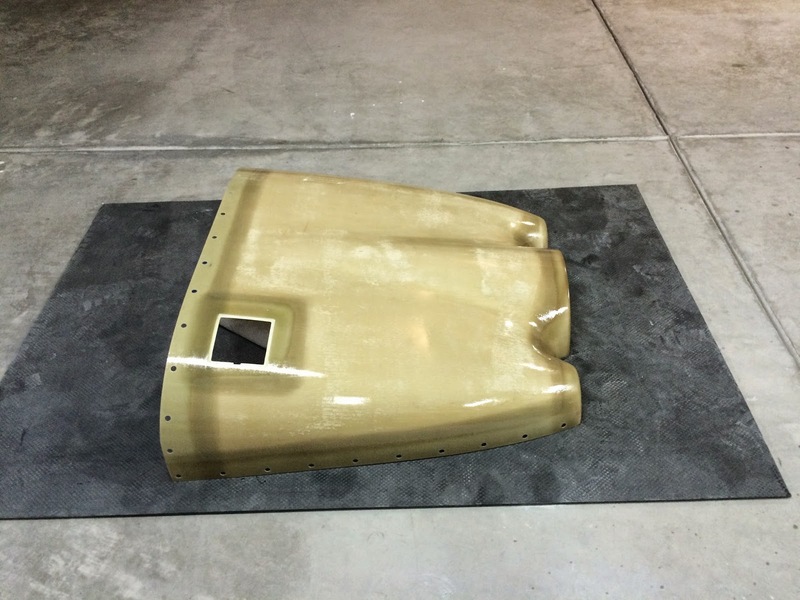 If you look at what I have left in the garage it matches what was there 22 months ago when I started this project, the empennage. 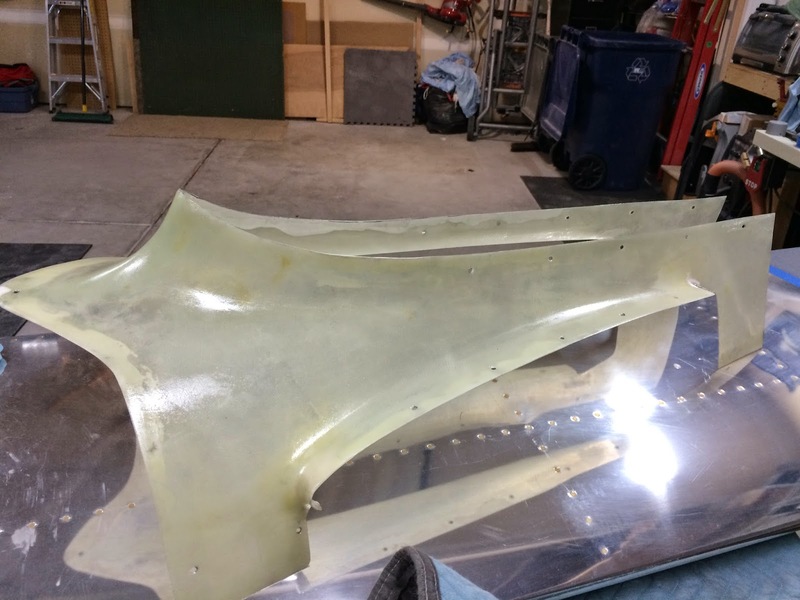 I have been working both at the airport and at home and the items remaining at home are mostly fiberglass tasks on the empennage. At the airport I don't have much for pictures because its been pretty much little tasks that don't really warrant a picture. 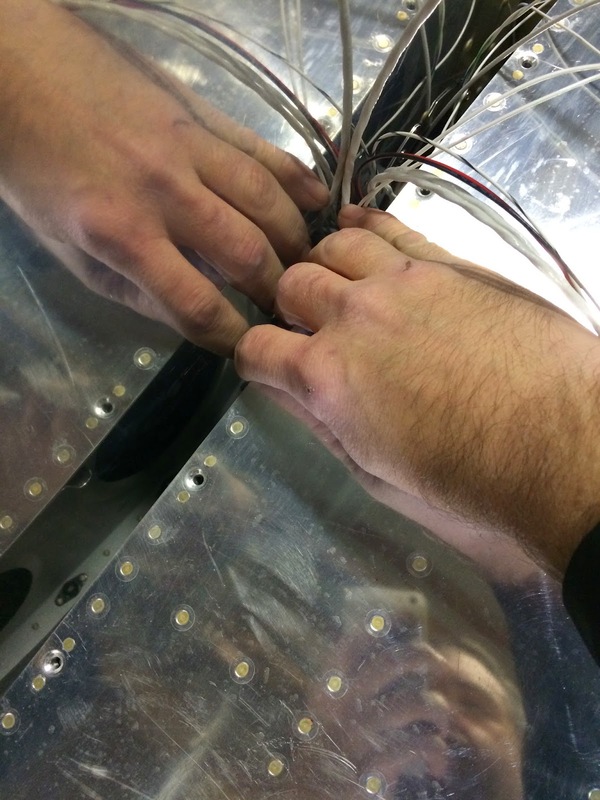 I have finished running the wiring in the wings, installed two outside air temperature probes, and installed some new lighting to help the light level in the hangar. Lots of tasks but I find its hard to know what tools to keep at the airport and what to keep at home. I did find that the hangar really needs some insulation because its darn cold in there. One task I did get accomplished this week was to put the close tolerance bolts in. When the wings were mounted last week we used a couple of temporary bolts and I was worried about how hard the final bolts would be to put in. Turns out it wasn't as bad as I thought it would be. I still have to put a few of the nuts on and torque the bunch but the worst part is done. On with the show....what there is of it anyway. See that gap where my fingers are? Well thats all the room I had to work between the wings and the fuselage. Needless to say I had to find other creative ways to run the wiring that needed to span that gap. 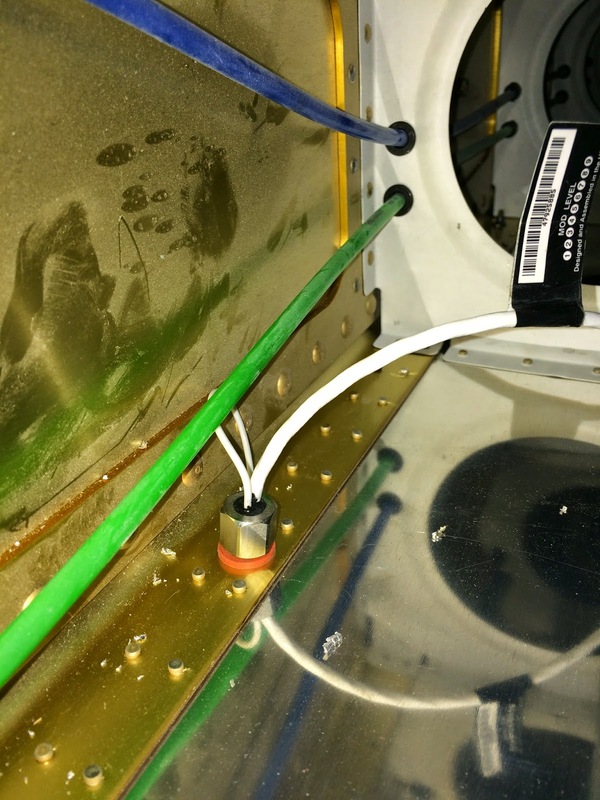 I took this picture as I was installing the outside air temperature probe. Man, it sure is dusty in there! I managed to get some primer on the horizontal stabilizer tips. 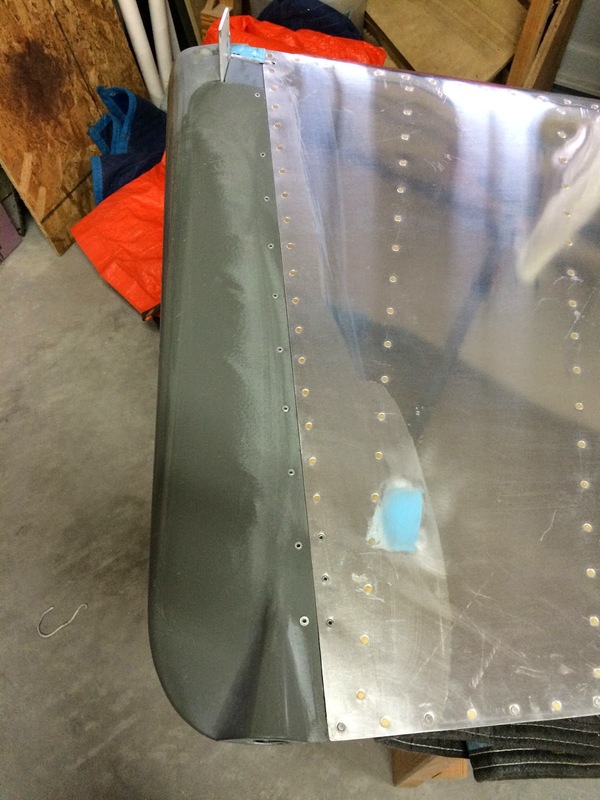 The empennage fairing has a bunch of pinholes that need to be filled. This is the first attempt at that task. Here I used a batch of epoxy with a squeegee to try to fill as many as possible. 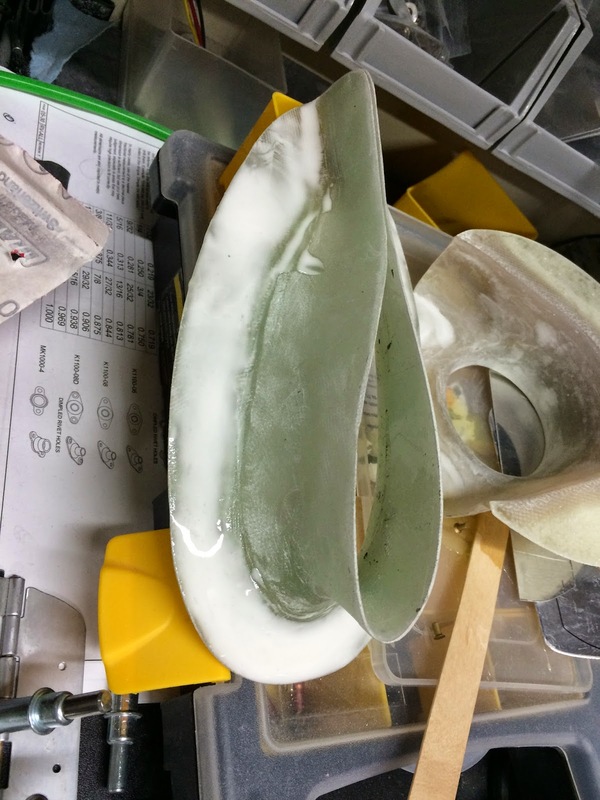 I had a little epoxy left over so I went ahead and started the process of finishing the nose gear fuselage fairing. The lower cap on the rudder got its final resting place made permanent. 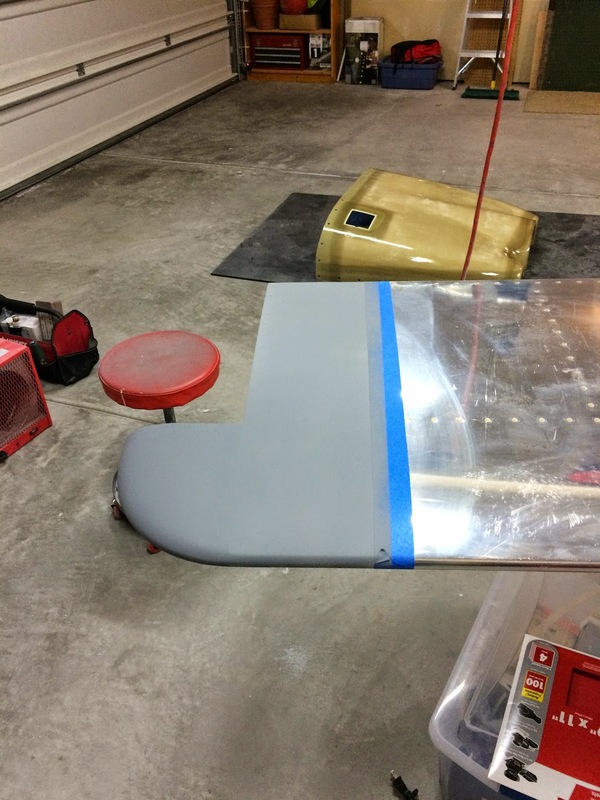 And, the top of the rudder gets a little smoothing love. 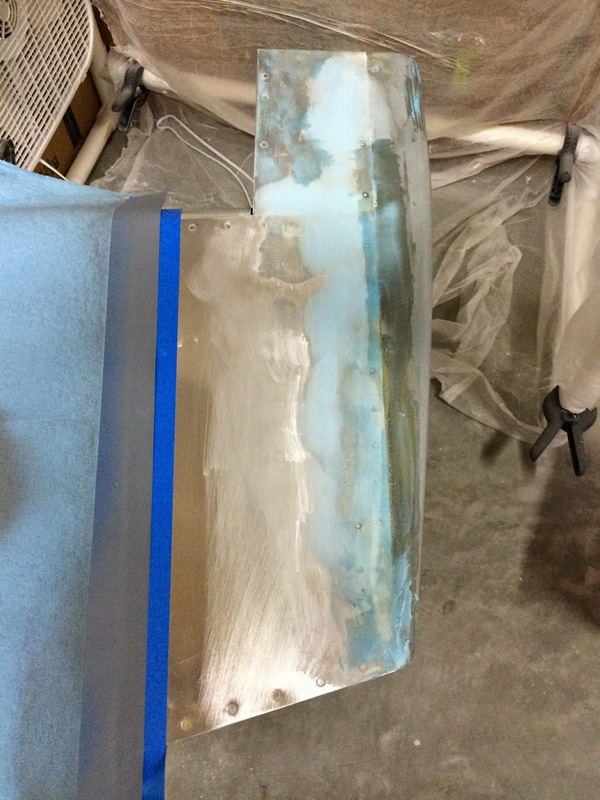 First coat of pin hole filler on the top of the engine cowling is layered on here.